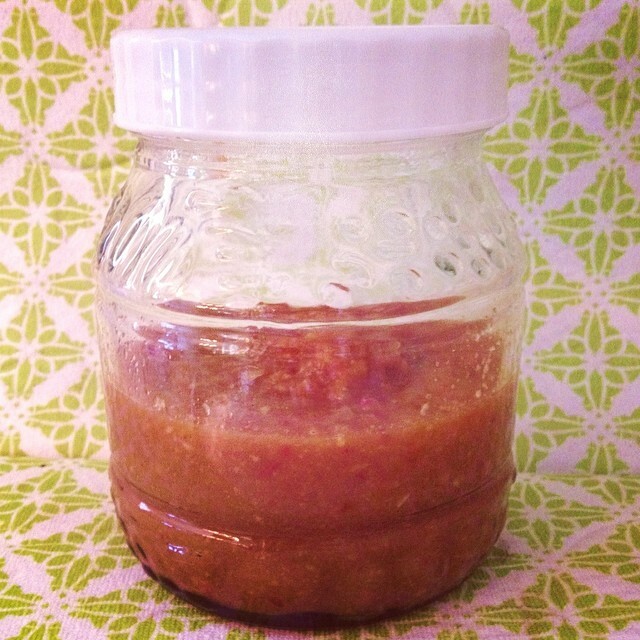 Spiced, probiotic apple sauce. Unlike regular apple sauce, this one isn't cooked, and instead fermented, so not only are the nutrients not eliminated, they're enhanced! Mixed with some yogurt, this spiced apple sauce is perfect snack for you and your kids. It's another easy way to incorporate fermented food into your daily diet! Even a little goes a long way!